Cedric Jackson, better known as Low-Down or Mr. Low, is an artist from the upsetting streets of Opelousas, LA. 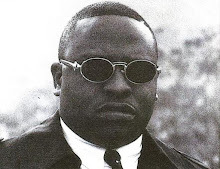 He first appeared on the scene in the year 1997 with his debut album, "Tales Of Da South." One Man's Vision is his second album and it was released in 2001 on Elusion Records. Bulk of the production duties are mainly handled by Bird or Rick Colomb, while Noke D, Sal, Mixso and Gamebinno' are all credited for a few tracks of their own. The beats are from the new millennium so the listener pretty much knows what to expect. They are not dull in any way, shape, or form and neither are they groundbreaking in any facet. It's an average batch of rhythms with a select few standouts here and there. Most of them are thumping with solid bass lines and a hard hitting set of drums. This strict structure and methodical approach happens to sustain the listener with at least the necessary amounts of entertainment needed to enjoy the album. 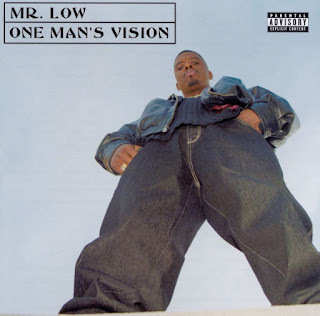 Lyrically, Mr. Low fairs well upon the microphone. Although he does seem to have lost a step or two since his last outing, his Southern tone and dialect are still the same. And while the fundamentals of key song writing elements are there, it is the choruses and hooks that need some work. Not enough attention is given to them on most tracks and that is where the core content really suffers. Other than that, there are no major blemishes and the artist does have a solid rhyme scheme in place with decent amounts of verbal wit. Guest appearances are made by Lil' Keke, Profound, Ltd., II Deep Down South, WildCat, Miss CoCo, Grey and Toné. Overall it's a stable release that rounds out with a total of fourteen tracks. Aside from a few minor shortcomings, the album eventually does pick up and finishes on the right foot. Also, there is really no type of comparison to be made between his debut release and this one. The two are miles apart from each other in terms of quality, sound and temperament. Now, that may not be a bad thing in most cases but it just goes to show that sometimes changing one's artistry to evolve with the times is not always the brightest idea. In the long run, it is simply better to hold on to your unique individuality and strong intellect to leave an everlasting impression on the listener.